Traditional Mackinac open weave patio chair that can be use as a dining chair around one of our outdoor tables. 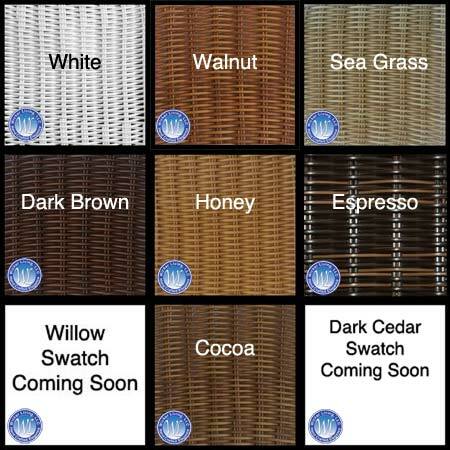 All-weather outdoor aluminum frames with quality wicker resin. Accent with an optional seat cushion and choose your own fabric.